This is something I wanted to do since I started playing Supernatural, and noticed that witches both evil and good, can't give any gifts to people they barely know because the receiving party won't accept them because they don't know them well enough. Now, with this mod, you can feel free to unleash your conjured poisoned or tasty apples on unsuspecting or grateful sims. 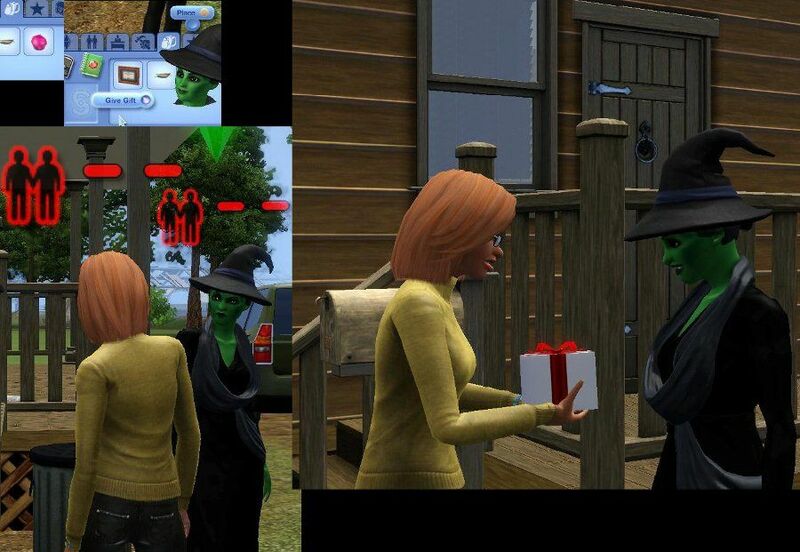 This also works on all sims not just witches, but I specifically had them in mind. This an xml tuning mod to the sim+give gift xml. Anything that edits any qualities in the sim+give gift xml will interfere with this mod. Enjoy! A mod certainly interesting, now I will install the game and when I have time I'll try. Does this mod need an update for 1.50 ? I didn't think it did, but I updated the link of the mod made with the new version of S3PE just in case. Let me know if you run into a problem.